Reflections of a reflector, reflecting. I have recently been a part of what has, so far, been the best CPD programme I’ve experienced. I was lucky enough to be selected alongside 16 other colleagues from my school to participate in the OLEVI Outstanding Teacher Programme. I am very grateful! The course was a fantastic opportunity to collaborate, discuss and debate with some fantastic practitioners across the school. There was a wide range of forums and topics and it was extremely thought-provoking. I wasn’t sure what the ambience was going to be like throughout the course, as it was the first time I have worked closely with some of my fellow colleagues. I was worried that some of them may have previous judgements of me as a teacher, I also wondered whether some may use the opportunity to belittle others, particularly myself as someone with less experience than others. Thankfully, my worries were soon erased from the minute we started working with Nikki and Ros. It was an incredibly supportive environment, all of the staff buzzed off each other and some of the concepts and ideas discussed were fantastic. It’s really refreshing to see so many fellow professionals and colleagues that are exceptionally passionate about their job, their subject and the profession. If you’re still reading, I’d like to write about the stand out things that I have taken from the training course. Notions that will definitely be catalysts in the direction of my future teaching. As teachers we often talk about celebrating the successes of our pupils. The use of praise and positive reinforcement are frequently used tools to engage and motivate the children in front of us. One thing that was eluded to during a discussion was the importance of making sure we also celebrate our teaching successes. Often in schools, particularly ours, teachers put in extra time and effort to enhance the learning and progress of the pupils. Which is brilliant. However, these teachers are seldom given any praise or gratitude from other members of staff. Now, I am not saying everyone should be calling everyone amazing, every second of the day. But as humans, like our pupils, we thrive on positive comments and “kind words”. A little teacher recognition can go a long way to improve morale, happiness and in turn teaching and learning. I will certainly be making a point of telling teachers who are doing a great job, exactly that. I never really appreciated the benefits of collaborating with colleagues across the whole school. I was fortunate enough to work alongside teachers from KS1 through to KS5 from a range of different subject areas. This format ensured that there was a wide range of knowledge, ideas and experience as well as opinions and attitudes. Collaboration needs to happen more often. The brilliant pedagogues that were on this course meant that the discussions were very interesting, thought-provoking and at points they developed into productive debates. Managed and steered well by our course facilitators we were all involved in professional dialogues that made us all think from a different perspective. I think it’s very easy to develop a philosophy and stubbornly stick to it. It takes collaboration and professional dialogues like this to “deepen your thinking” and perhaps make you take a second look at your attitudes and beliefs as a teacher. There were many times during the training when I was able to take an idea, concept or belief and see how it would fit into my mould as a teacher. All of which was positive and will certainly work towards making me a better teacher. We were introduced to a very creative and fun analogy about the importance of pushing boundaries and working outside of your comfort zone. 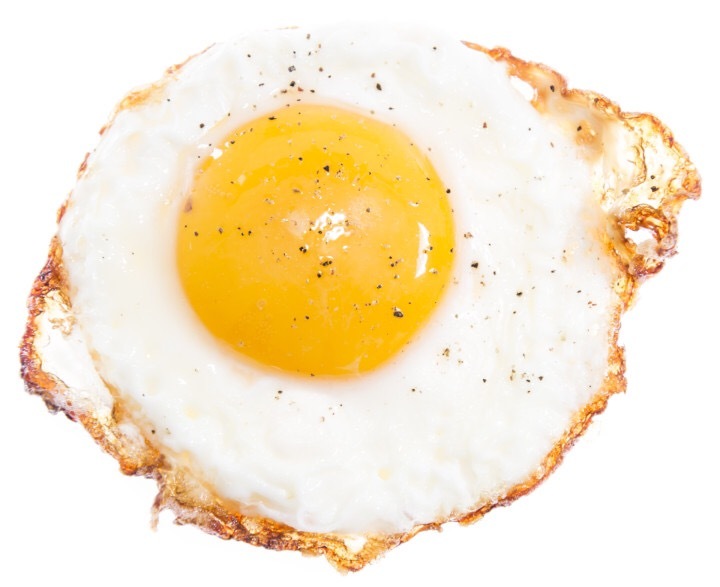 The yolk represents your comfort zone. The area that you feel at ease and confident. The egg white is known as the stretch, the area just outside of your comfort zone, an area which could relate to; trying a new teaching tool, a new form of behaviour management perhaps. Then, finally we come to the “crispy” edge. This is the area far away from our comfort zone. An area that may ignite some fear of failure, it could be linked to trying something completely new with a difficult class. A risk. During the course we were encouraged to “get crispy” – to try new concepts, to be creative, to innovate and engage pupils in learning. These risks need to be taken. It’s easy to stay in our comfort zone but then we are all susceptible to stagnation. Keeping up to date with new methodology, being creative and taking risks will allow for development and also enable a large “impact” on the learning. 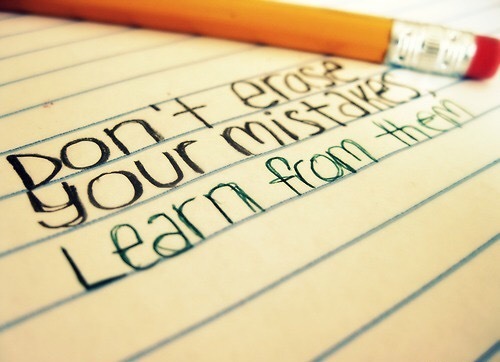 We encourage our pupils to take risks and we champion the fact that it’s okay to make mistakes. It’s principles like this when we really need to practice what we preach. I really enjoyed this acronym. Our facilitators and OLEVI are passionate advocates of this descriptive model. DR.ICE is used to describe what is seen as essential ingredients in the make up of an Outstanding Teacher. It takes into consideration not only what happens in the classroom but every aspect of the profession. It illustrates that we should challenge and engage pupils in all aspects of their education, including the wider aims of the curriculum. We can do this by role modelling learning, challenging expectations and setting high standards. We need to deepen the thinking of each and every child by planning and using higher order questions and by providing significant challenge. It is then crucial to reflect on the impact that all of this is having on the learning and development of our pupils. This being a description of the pupil centered angle of DR.ICE. It’s also important to consider that as teachers we need to make reference to this model. We need to challenge ourselves and other members of staff to deepen their thinking, in order to improve the impact, challenge and engagement of their lessons. We need to share, facilitate and role model outstanding practice for others to use. DR.ICE is not an add-on, all effective teachers will have all of its components as an integral part of their practice already. 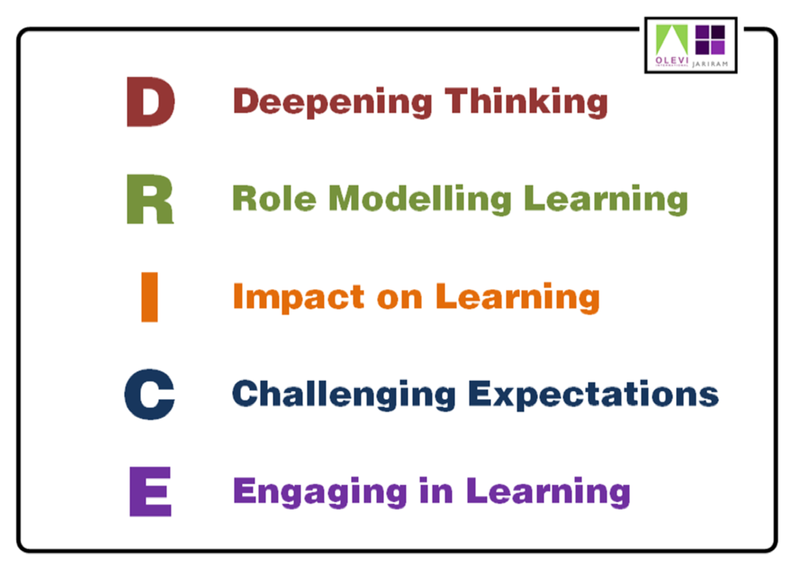 It’s just so happens that it’s an excellent acronym that can be explicitly used to promote outstanding teaching and learning. I will certainly attempt to get out more around the school. 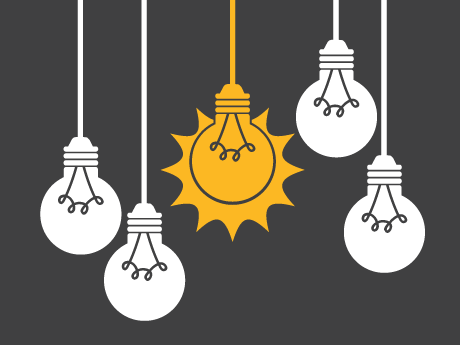 There are so many “Golden Nuggets” out there that need stealing, adapting and implementing. Just like a good magpie. “Golden Nuggets” are outstanding teaching and learning tools. It was a great experience to go on some learning walks and observe a range of different subjects. I have certainly found many similarities and differences that I will be reflecting upon and trying to implement into my practice. Go out and observe, it’s definitely worth it. I hope you enjoyed reading the post if you’ve got here. Just a reflection from what was an incredible piece of CPD. Like I have previously said, I am very grateful to have been a part of it and I hope for more of the same in the future. 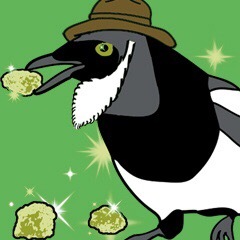 Go “Get Crispy” with DR. ICE and the Golden Nugget Stealing Magpie. I’ve been wanting to write something about this for a long time now and my frustrations have finally led me to this blog post. So, I have been teaching PE and coaching football in Doha, Qatar for over three years now. I still really enjoy my teaching job and I am very grateful for the coaching opportunities I’ve been given. Qatar is a country heading in the right direction and almost everyone is passionate about football. However, there is one thing that really frustrates and slightly angers me about grassroots football and player development out here in Doha. I’ve been fortunate to coach some very talented footballers over the past three years. From U11 through to U19s – I have seen players with excellent technical ability and players with incredible stamina and work-rate. I can honestly say that some of the players I have seen play would definitely catch the attention of professional clubs in England. This being said, none of them have been scouted or selected to play club football for any of the professional teams in Qatar. Qatar’s QSL is the main league with most clubs based in Doha, however when it comes to their recruitment and coaching of young players; they only select those with a Qatari passport or those born in the country. The expatriate community in Doha is growing bigger day-by-day. More and more western families are moving to Qatar through employment which is leading to more young western children entering the British/international private school system. Which has lead to more and more children searching for options to play football. Evolution Soccer is a fantastic business that offers football coaching to children from an early age and they look to stretch the best players through their academy. It is within these teams and the representative teams that I have coached within the school system where there are players with real talent. Young English players with talent are not getting the exposure or opportunities they deserve. There is little opportunity for them to play competitive football and, all in all, the grassroots system for young expatriate players is leading to many of them going under the radar. These young footballers will play school football – fixtures against other schools, train outside of school at one of the football coaching academies and maybe play the odd fixture now and then. They will wait until they are old enough to go to college or university and then look to continue their pursuit in football when they are often out of the country. I just wanted to vent my frustration, there are some very talented young footballers out here in Doha and they aren’t quite getting the opportunity, development and football exposure they deserve. FIFA – PE Assessment – UPDATE! The ‘Gold Card’ tool will be used as a method to track progress from the start of the year through to the end. Pupils will complete peer and self-assessment sheets within lessons using an assessment matrix in order to construct a gold card for themselves and their peers. 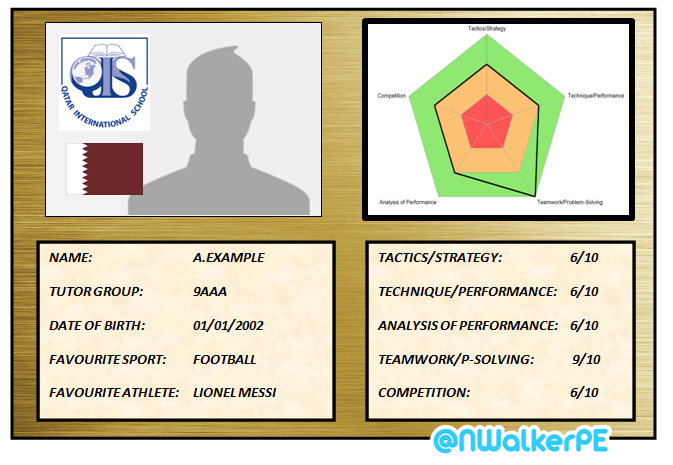 Pupils will give themselves a score out of 10 for each of the 5 different sections on the card: Teamwork, Communication, Tactics, Technique/Performance, and Analysis of Performance. The pupils will be given an assessment matrix which will show them what it takes to achieve a particular score in a particular category. Then under supervision from the teacher they will peer and self-assess using the PA/SA Worksheet. The teacher supervision and guidance is essential at this point, as most will like to give themselves 10 out of 10 for most areas. Ensure that they are assessing effectively using the criteria. I am going to plan to incorporate one or two of the categories into the planning of each lesson. For example, in a lesson of handball the emphasis may be put on Teamwork and Communication. So the pupils will only self/peer-assess those two areas. This will allow for better reflection, rather than getting the pupils to assess all five areas in one lesson. Once the pupils have given themselves a score out of 10 for each area, a total of all 5 will be calculated – (by simply adding them together) – to create a ‘player/pupil’ rating. This will be inserted in the box on the top left of the Gold Card. Towards the end of the lesson or when the self/peer-assessment has finished, I will collect in all of the assessment sheets and this is when the time, effort, hard work starts. A digital version of each pupils Gold Card will be created, the gold card will include ‘pupil’s name’, ‘pupil’s year group’, ‘school logo i.e. club badge’, ‘attainment i.e. their five scores’, ‘player rating i.e. total of the five scores’ and finally after permission granted a ‘player profile picture’. This is an example of what one may look like when it’s complete. Every time a lesson is finished that has used SA/PA the sheets must be collected in. A pupil’s Gold Card will be updated using their own scores, their peer’s scores and a teacher assessment. I am suggesting that three times a term would be a sufficient amount of time to allow the pupils to be engaged and also allow for time for teacher updates. The next idea is for the pupils to be able to see their own and their peers’ Gold Cards online. I have a few ideas of which I am going to trial to see which is the most effective for this. The first one being to create a personalised website for the class, which only they will have access to, the second idea being – to create an Edmodo group that only the class can access, and the third being the use of a social media platform like Twitter for example. 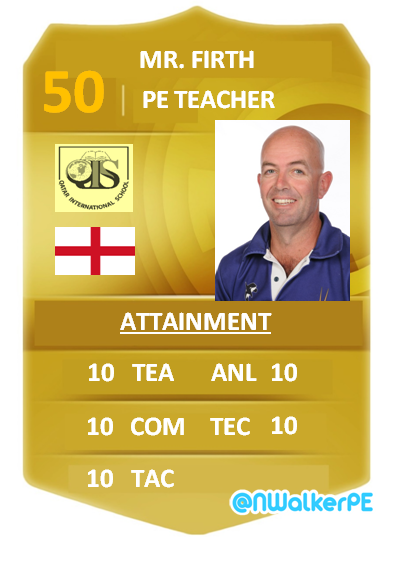 My aim is for the pupils to be able to access their Gold Cards, so they can check their player ratings or improvement in certain areas or even progress throughout the year. Alongside this tool, I plan on implementing a ‘League Table’ format, with each pupil representing a club within the league. 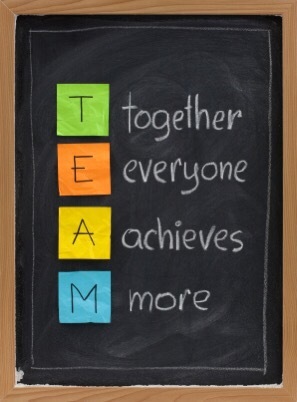 Pupils will achieve points for themselves/their team for; good behaviour, high effort levels, teamwork, leadership, etc. These points will be called ‘Goals Scored’. (points similar to reward merits) It will also be possible for pupils to lose points, things such as; ‘inappropriate behaviour, kit faults, lack of effort, disruptions, etc’ will be tallied as ‘Goals Conceded’. Which will then give each pupil/team a ‘Goal Difference’ – Goal difference will equate to a certain amount of points and then the league will be constructed by points in descending order. From this a ‘Player of the Month’ award will be rewarded. This pupil will be chosen by the teacher, taking into consideration the following things; Top of the league, best goal difference in the month, most points achieved or most improved. This will add an additional challenge and hopefully motivation during the lesson. Similarly to the Gold Cards, this league will be updated and available for the pupils to view online. So they can monitor their progress and the progress of others in their class. I have thought about only showing the top 5 places in the league table online, as it could be de-motivating for those pupils to see themselves lower down the table. The image above is an example of how I would use formulas in Excel to generate the data required for the league table. I will then take the top 5 pupils – selected by total points and then insert them into a better designed interface, which will be visible online. This being an example of what the pupils may see on the internet platform – replacing the ‘Pupil 13’ with pupil’s name. So my next piece of work is to create the matrix which shows the pupils what a ‘1-10’ looks like, this is seemingly going to be the hardest part, but should be well worth the effort. Just thought I’d share with you something I have been experimenting with recently. For our PE website, I have decided to create a continuous video that plays throughout the year – highlighting our pupil/athlete of the month. The gap between ‘promise’ and ‘reality’ – How can PE contest with the rest? Afternoon everyone, I plan on writing a bit about an article I read today and then asking you some questions, of which I am looking forward to hearing your opinions. Today I read a very interesting article by Ken Hardman (2008), the purpose of his research was to identify the current state of physical education in Europe. Now obviously lots of things have changed since 2008, the British PE curriculum, just to mention one. However, when reading through the article a number of things jumped out at me that are still present today, in 2015. Hardman suggests that “across Europe, there was a gradual erosion of school PE time allocation throughout the 20th century”, countries such as Denmark, Sweden, France and Greece all lost allocated time dedicated to PE. This was put down to the significance of PE as a subject, schools tended to prioritize subjects that had more educational/academic value. Although the time allocation problem seems to have stayed the same, PE as a subject still seems to be less of a priority in comparison to other academic subjects. Particularly in my current school, a large majority of pupils’ parents place no importance on PE as a subject and are more concerned about target grades and attainment in Maths and Science. I think this is predominantly down to a lack of, or misunderstanding of what PE actually is. Culturally, a substantial amount of our parents want their children to become doctors or engineers, which is completely fair. 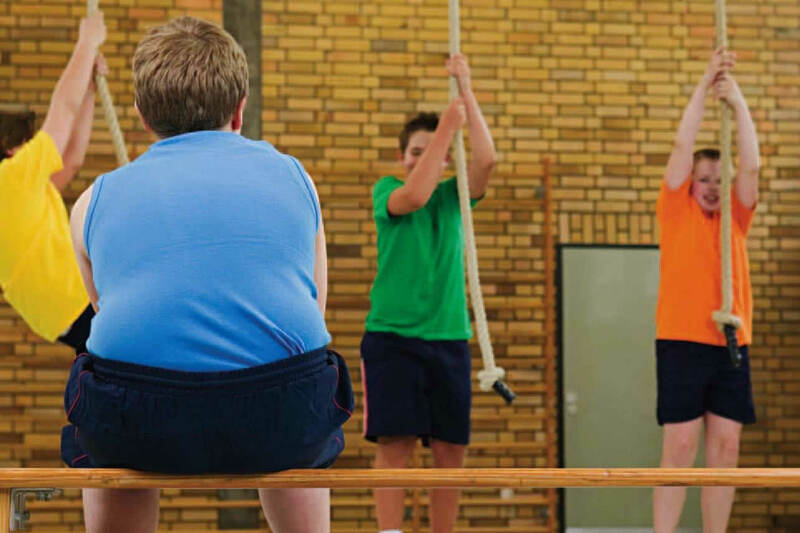 However, they seem to not acknowledge the fact their children need to learn about healthy, active lifestyles and making correct decisions throughout their time in school and for the rest of their lives. So the struggle in this particular example is in fact ‘promoting PE’, educating parents and pupils what PE is as a subject, what our main aims and objectives are. Our so called ‘promises’. This is an example from outside Europe within a completely different culture. In Europe comparatively, knowledge of the subject and its objectives is, in general, much higher. PE is well regarded within Germany, Spain, Finland and Sweden, just to mention a few. However, Hardman suggests that the promises of PE curriculum aren’t actually being kept in reality. Over the last few years PE practitioners have been imagining, innovating and developing some great initiatives that could be used to help reach these ‘promises’, but as Dr Ashley Casey and Dr Vicky Goodyear have previously stated, many of these initiatives never actually make it past the ‘honeymoon phase’. In order for the reputation of PE to increase we need to ensure that we are meeting the ‘promises’ that our subject sets out to achieve. How do we increase the reputation and priority of PE as a subject? How can we make our subject as important, if not more important, than other academic subjects? 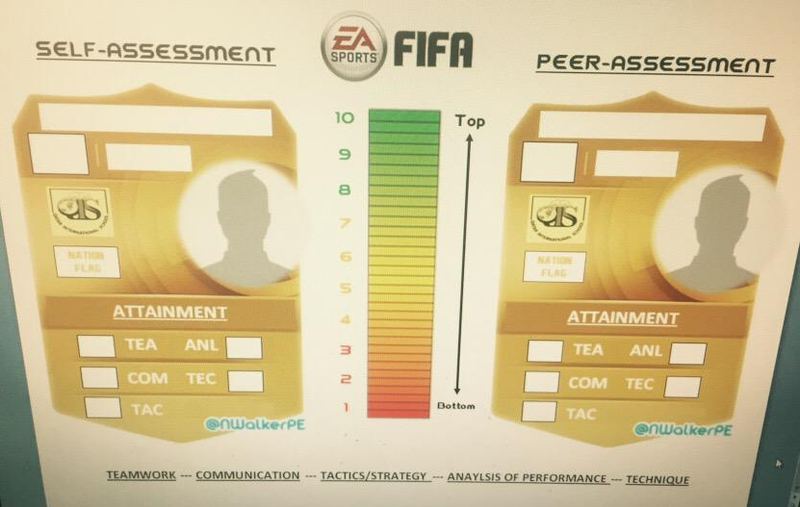 FIFA – Assessment without Levels! So basically I have been toying with this idea for a long time. ‘Assessment without levels’ or ‘AWOL’ has provided me with the perfect opportunity to trial this concept with a group of students. Essentially, I constantly hear KS3 Boys talking about computer games – every break time and after school, even within lessons references are made to their favourite games, particularly an old favourite of mine… FIFA! So I’ve been thinking, how can I include concepts from EA SPORTS FIFA into my PE lessons. I’ve come up with two ideas; the first idea being a visual tool which pupils can see to check their attainment and progress. The second idea is to create a tool which pupils can use for peer and self-assessment. This is one of the first concepts that I tried, I saw a number of versions of this idea on Twitter and became really interested in creating one for KS3 PE in particular. The ‘Red, Amber, Green’ theme represents ‘Emerging, Progressive, Competent’ – Three simple classifications that can be used by a teacher to assess a pupils learning/progress. The areas that I included where: Competition, Tactics/Strategy, Technique/Performance, Analysis of Performance, Teamwork/Problem-Solving. Points can be plotted on the chart and joined together to make a web. Admittedly, this reminded me more of Pro Evolution Soccer or Football Manager with their ‘attribute webs’ but I like the idea. The problem here however is that criteria or descriptors would need to be created to illustrate what ‘Emerging – Teamwork/Problem-Solving’ looks like. Which could certainly be done, but would take lots of time and effort. So I kept the ‘web’ idea and developed a new ‘Player Card’ idea. The ‘Player Card’ idea puts the attribute web in the top corner and gives them a score from /10 underneath. With ‘Emerging being 0-3, Progressive being 4-7, Competent being 8-10’ – so the pupils can see a graph which is generated by the numbers. The ‘Player Card’ idea includes a pupil photo, the school badge and the flag of the pupil’s nationality, with some fun facts and information underneath. When showing this model to some of the pupils, they seemed to really like the way it looked. However, it still seemed quite far away from FIFA – the ideas where there but the image wasn’t. So I have decided to move onto a completely different approach. 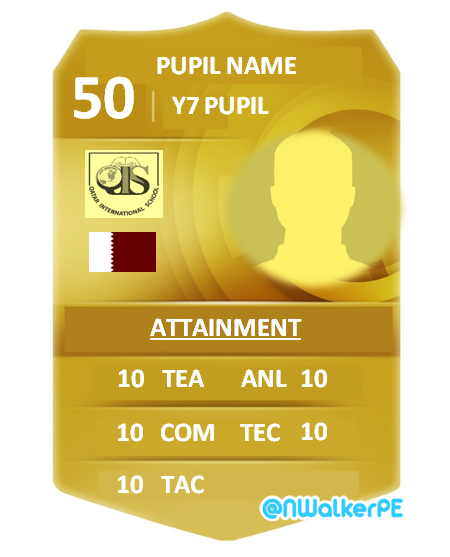 I decided to search and find a template of a ‘Rare Gold Card’ which is used in the ‘Ultimate Team’ part of FIFA. Ultimate Team being a very popular part of the game which the pupils in my school seem to talk about, all the time! So the idea is to give each and every pupil from every class their own ‘Gold Card’ It would contain all the key information required – Name, Tutor Group, Picture (including the school logo and national flag), Attainment for each of the assessed areas. The areas I have decided to use are the same as above; Teamwork, Competition, Tactics, Analysis, Technique. These are all areas highlighted within the new PE curriculum, however this hasn’t taken into consideration the Social, Emotional and Cognitive aspects involved in our subject. Furthermore, descriptors or criteria would need to be designed to illustrate what a 2/10, 4/10, 10/10 looks like. Although, when I showed this example model to a group of KS3 Boys – they were so excited and it really engaged them in discussion as to how it could be used in PE. Which was really positive! So up until this point the ideas have been getting better however it would mean a lot of time and effort put in by the teacher, editing and amending the cards. I toyed with the idea of creating a shared document and allowing the pupils to edit these themselves, but the time this would take means reducing activity by quite a substantial amount, so I had to think differently. Sorry about the poor quality of this image, as its not the actual document – I haven’t got it on my phone. But its clear enough to see what it is. I decided to use the Rare Gold Card template to create a Peer and Self-Assessment resource which can be used by the pupils. I have used this with a group of Year 8 Boys and they loved it. I told them to give themselves a simple score out of 10 for each area and then total the score out of 50. I plan on doing this with all of the KS3 Boys classes initially to experiment with the pupils interest. If it as successful as the first group with all groups, I will create an attainment matrix for KS3 for these areas and print it on the back of this sheet. Creating a really effective AfL resource that is relevant and interesting because of the FIFA theme. I hope you will be inspired and like the idea that I have discussed, very much work in progress and lots to be done. However, on initial impressions it has really engaged some of the pupils, making them actually concerned about what they are attaining and what they need to improve on. I would really appreciate your comments, thanks for reading! It was freezing cold, there was light rain and a harsh wind blew over the bottom Rugby pitch. Twenty two, eleven year old boys – Seven Rugby balls, Seven tackle pads. Muddy faces, soaking socks, grass stained PE polos. Smiles on faces, encouraging cheers and laughs all around. It was all about enjoyment, fun and challenge. This is something I have taken and never forgotten. Every PE lesson should be fun and interesting. So often recently PE lessons have diverted away from ‘actual physical activity’. Our subject allows us to guide and challenge pupils through different experiences that they don’t get inside a classroom. We need to keep it engaging with high activity levels. I understand that practitioners are trying to tick boxes and jump through hoops but PE is PE, its physical and needs to stay that way. Self-assessment, peer-assessment, video analysis, etc, etc. can all be included in lessons that are for the most part active. It is essential that we get pupils’ heart’s beating faster than usual, we need to challenge them in competitive situations. When it’s managed well pupils love it. A student doesn’t have to be technically gifted to enjoy physically active competition, that very pupil could be inspired by teamwork, problem-solving, success and positive feedback. That’s the effect we need to have. I am a passionate believer that we need to make sure each and every pupil is taught how to make correct decisions for a healthy and active life. Talking from personal experiences in my present school; the obesity and non-participation rate in PE, sport and exercise in Qatar is disastrous. Something has gone terribly wrong. It pains me to see young children struggle to carry their bags from class to class. Some pupils are not participating in PE because of the way they look. Each and every child matters. It is vital that we encourage, motivate and re-ignite the flame of those who have lost confidence or dislike the subject. The importance of what our subject offers has to be promoted to every child. 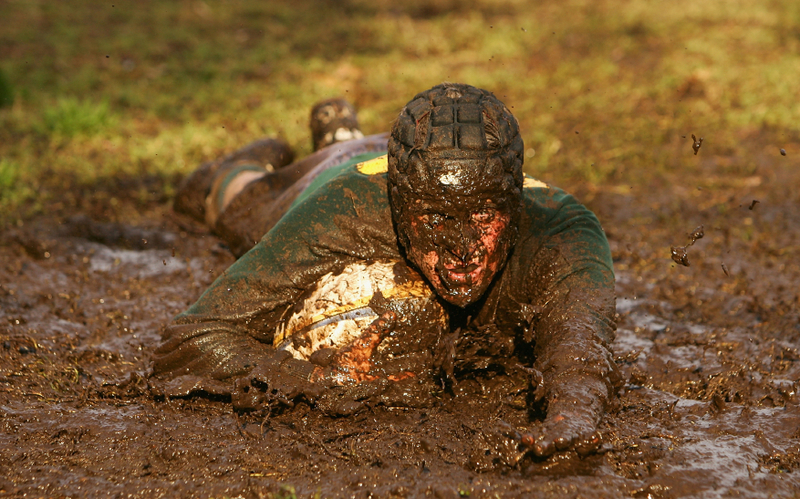 Sometimes the impression of PE is just; ‘Sir, are we playing matches?’ or ‘Do we have to do swimming?’ – PE as a subject, you all know, is much more than that. I’m a firm believer that diet, exercise, training and performance should all be discussed and taught from the very earliest stages of a pupils PE life. They need to understand the effects and benefits exercise and participation in sport can have on the rest of their lives. Physical Education should allow all pupils to develop physically, it should enable pupils to develop confidence and independence. Key life skills such as leadership, communication, problem solving and team work are all attributes that should be integral to every child’s PE journey . I believe PE is crucial when considering the development of a child’s social, emotional, creative and cognitive skills. Our subject is a great vehicle for reaching the wider aims of the National Curriculum (if not beyond the curriculum) and so it is important to enable all pupils with as much opportunity and experiences to develop these skills. Learning for me is a term that has been given so many definitions and has the ability to be tracked in so many different ways. Learning in PE should be kept as simple as possible. Over a scheme or unit of work, does the pupil have the ability to do something new or something differently at the end. EASY. This doesn’t have to be a particular sporting technique, this could be the ability to ask relevant questions to guide their learning. It could be that the pupil has developed much better communication skills. An older pupil may have developed some exceptional leadership skills. Has the pupil developed an attribute or skill that meets the aim of our curriculum. SIMPLE. We can give pupils numbers, letters, traffic light colours, whatever you like… but essentially, at the end of a lesson, if a pupil can do, understand, explain, illustrate something they couldn’t at the start, that is learning. Every lesson should have a purpose, no matter how it’s structured or what its content is, it should have an objective that all pupils are aware of. If each and every pupil has made an effort at achieving that outcome, that is learning. Pupils are human, like all humans we become successful and understand things at different times. As long as their learning journey is productive that’s all we can ask for. I like to plan high quality lessons, with high quality expectations. If you aim high and think the world of your pupils, they will do the same for you. Well that’s what I was taught by a great lecturer of mine. 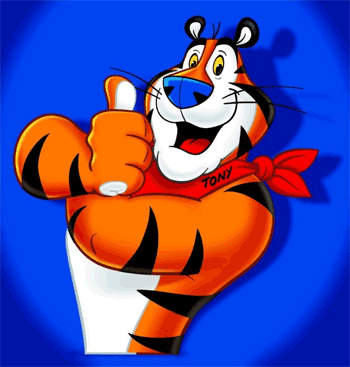 I like to talk, be friendly, smile… let the kids get to know the team you support, your favourite band. There is nothing wrong with that, it develops a positive pupil-teacher relationship. Be assertive when they cross the line, but finding a similar ground makes teaching so much easier. Extra-curricular activities, fixtures, tournaments, etc. Do as much as you physically and mentally can. The pupils really appreciate it and it can be so rewarding. I feel I have to stay behind at school almost every day to watch the activities, even if it isn’t my club, I will be there supporting and chatting to the pupils. I like to make learning as relevant as possible by using recent sporting events/fixtures to pose as questions or discussion, I like to use technology to engage pupils. It’s constantly developing, so must our practice. Well, I hope I have been able to share some of my views of PE with you. Obviously I am certain these will change over the next couple of years but as a relatively new teacher I feel our subject has so much to offer and we need to ensure the traditional values of PE are met with modern and engaging teaching techniques to enable the future generations to be equipped with skills for life and ensure that they make correct decisions about being healthy and active. I’ve finally came around to creating a blog! Needless to say, it’s taken long enough. Recently I have been so inspired by the amount of fellow PE teachers sharing their knowledge and great ideas through blogs/vlogs. I felt that I had to get involved and start to post my thoughts and ideas too. First of all, I’d like to introduce myself… I’m Nathan, or Mr Walker to the kids. I am a PE Teacher in Doha, Qatar (Yes, that is where the 2022 Fifa World Cup will be held, though that’s another topic in itself!). I teach at Qatar International School which is a British Curriculum school situated in Doha. I’m a Year Nine Tutor, Duke of Edinburgh International Award Co-ordinator and Head Coach of the U16 Qatar National Schoolboys Football Team. I hope that this blog will allow me to share my ideas and create discussion amongst fellow #PEGeeks. I am passionate about making PE engaging for all pupils and promoting lifelong physical activity. I have been working on developing innovative methods of assessment without levels, self/peer-assessment tools and effective ways of using technology in practical lessons.